Only standby tickets remain to see theoretical physicist Michio Kaku for the next Maverick Speakers Series event. Dr. Kaku will discuss "Physics of the Future" at 7:30 p.m. Thursday, Feb. 19, in Texas Hall. An autograph signing will follow the lecture. Go to utatickets.com and print your ticket. Standby tickets holders will be seated, space permitting, 10 minutes before the show starts. Accommodation is anticipated but not guaranteed. 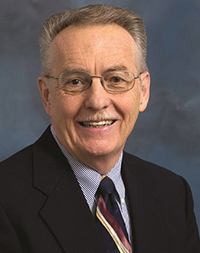 Kenneth Reifsnider, an internationally recognized expert in high-temperature energy systems and composite materials and a member of the prestigious National Academy of Engineering, will join UT Arlington in June to lead a new Institute for Predictive Performance of Advanced Materials and Structures. Dr. Reifsnider currently serves as director of the Solid Oxide Fuel Cell Center of Excellence at the University of South Carolina. He is one of the world’s pre-eminent fuel cell materials researchers and is credited with leading South Carolina’s fuel-cell initiative. He becomes the third member of a national academy to join UT Arlington in recent years. Nai Yuen Chen, a distinguished research professor in the Department of Materials Science and Engineering, is a member of the National Academy of Engineering. David Nygren, a renowned physicist and member of the National Academy of Sciences, joined the University last fall as a presidential distinguished professor. Read more about Reifsnider's appointment. UT Arlington has been nominated for the Stanley Security Together for Safer Schools grant. The top two schools in each category receive funding for security. UTA is in the Tier 3 category for schools with more than 20,000 students. The grand prize is $200,000 with a runner-up prize of $75,000. As of Monday afternoon, UT Arlington was in third place. Vote every day. Go online to vote at stanleysaferschools.com, text utaedu to 334455, or tweet using hashtags ‪#‎stanleysecurity and ‪#‎utaedu. Voting ends at midnight Friday, Feb. 13. See official rules at stanleysaferschools.com for details. HBO subscribers can watch dawn. by film professor Ya'Ke Smith on HBO GO starting Sunday, Feb. 1. The film will be shown throughout the year on the various networks of HBO. Smith wrote and produced dawn., which chronicles a woman’s struggle to land on her feet after she’s released from prison. He is the Morgan Woodward Distinguished Professor in the Art and Art History Department. Jaqueline Ramos, psychology/sociology freshman, checks out one of four "little libraries" on campus. 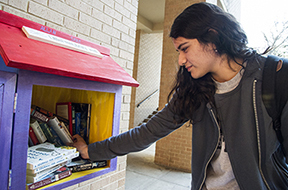 The Allan Saxe Little Free Libraries are in the Fine Arts Building breezeway near the center bridge, the Arlington Hall breezeway, the Hammond and Trimble Hall breezeway, and the Carlisle Hall plaza. Once a visitor has read the book, they can return it, pass it to a friend, or replace it with another book. There are no checkout procedures, no fees, and no due dates. Readers are encouraged to leave notes for future readers and add their own selections to the collection. Political science Associate Professor Allan Saxe sponsored the book boxes. Find details and photos on the libraries' Facebook page. 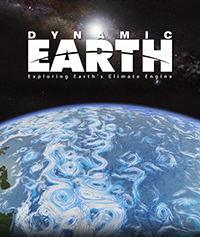 Attend the launch party at noon Wednesday, Jan. 28, at the entrance of Carlisle Hall. South College Street between UTA Boulevard and West First Street will be closed for infrastructure improvements. The street will reopen as soon as possible, depending on the weather. Disabled parking on West First Street will remain accessible via South West Street. If you have questions or concerns, call either Toby Buhrkuhl at 972-832-1490 or Jeff Johnson at 817-798-8456. Space is available in the residence halls to move into immediately. Log into the University Housing portal using your NetID and password. Complete the “AY 2014-2015 Spring Only” application. After you’ve applied, check your UTA email for a contract offer. Residence halls are fully furnished and all utilities-paid, including electricity, water, unlimited laundry, Wi-Fi and Ethernet connection, and cable TV. Click here to find the rates and amenities of UTA's six unique on-campus residence halls. A $150 deposit is required. For questions, call University Housing at 817-272-2791. Register for the annual Black Leadership Institute, set for Saturday, Feb. 14. The program is free and open to all UTA students. Register online by Sunday, Feb. 1. The program includes leadership development, networking, a keynote address by Whitney Peoples, a performance by Bandan Koro African Drum and Dance Ensemble, and more. The Alternative Breaks Program is taking applications for its spring trip to the Gulf Coast of Mississippi. The trip is March 8-13. Spots are open to help in homelessness and poverty as well as early childhood education programs. Alternative Break trips offer opportunities for students to engage in hands-on, meaningful community service and educational activities. For details, visit the Alternative Breaks website. 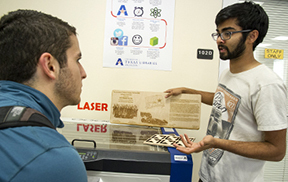 Cameron Emadi, biology freshman, listens to Amit Kudtarkar, mechanical engineering junior, explain how to use a laser scanner and cutter in the FabLab in the Central Library. Meet your Student Congress senators and share tasty desserts and friendly conversation starting at 6 p.m. Tuesday, Feb. 3, in the Palo Duro Lounge of the E.H. Hereford University Center. Bring your UTA concerns and opinions to share with your Student Congress senator in a relaxed, fun event. Abstracts are now being accepted for the Annual Celebration of Excellence by Students (ACES), a University-wide symposium highlighting the best in student research and creativity. Submission deadline is Friday, Feb. 6. To be featured at ACES, undergraduate and graduate students work with faculty mentors in their disciplines to write and submit abstracts for the competition. ACES 2015 is Wednesday, March 25, in the E.H. Hereford University Center. Tax season is in full swing, so expect to see related phishing emails and attempts to lure you into inadvertently installing computer viruses. 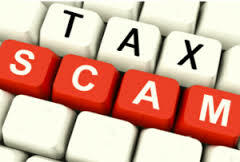 Use caution when clicking Web or email links or opening attachments related to tax returns. The IRS does not initiate any contact with taxpayers by email, text, or social media. Your IRS tax bank transfer is not approved. If you receive an email that appears suspicious, send it to the Information Security Office at security@uta.edu. Do not click on the links or open attachments. Always be cautious about providing your personal information over the phone, especially to individuals who initiate the call. In such cases, always offer to hang up, verify the nature of call, and to call them back at a number they provide. Seek out the organization's official number and contact them directly. If you suspect attempted fraud or fall victim to a scam, contact your local law enforcement. Priority deadline for application for spring graduation. To withdraw from classes once the term has begun, undergraduate students must meet with an academic adviser in their major department. If you drop or withdraw on or before the Census Date, Wednesday, Feb. 4, no grade will be recorded on your transcript to reflect the drop. Courses dropped by the Census Date also will not be counted toward the six-course drop limit that affects students who entered a Texas public college or university in fall 2007 or later or the excessive hours tuition law that affects students who have more than 45 hours in excess of the hours required for a degree plan. Read more about this state law for its implementation at UT Arlington. Monday, Feb. 2, is the priority deadline to apply for graduation for the spring 2015 term. The filing fee is $40 and is non-refundable and non-transferable. Students should apply to graduate in MyMav. Read the graduation application instructions. Before students apply to graduate, they should verify with their academic adviser that they are eligible to graduate at the end of the graduation application term. The fee is not refundable or transferable to a future term if a student applies and is then found to be ineligible to graduate. Candidates for graduation who miss this deadline can apply through Monday, March 2, with an additional $60 late fee. Read more about graduation requirements. Madness and community are the topics for the documentary Working Like Crazy, set for 3:30-5 p.m. Thursday, Jan. 29, in Room 104 of University Hall. The film will be followed by a discussion about madness and community with Elisabeth Cawthon, professor of history, and disability studies scholar Richard Scotch of UT Dallas. An estimated 85 percent of people labeled mentally ill are unemployed and often viewed as incapable of working. Working Like Crazy challenges these stereotypes by profiling six former mental health patients, once labeled "unemployable," who now work in businesses run and staffed by other psychiatric survivors. Sponsors are Delta Alpha Pi Honor Society, Disability Studies, and the Office for Students with Disabilities. For more information, contact Sarah Rose at srose@uta.edu or visit disabilitystudies.uta.edu. Activity Fair Day Student organizations, departments, and community agencies share info with students. 10 a.m.-1:30 p.m., Palo Duro Lounge, E.H. Hereford University Center. Student Activities and Organizations. Reception for Little Free Libraries A kickoff party for the new Allan Saxe Little Free Libraries. Free. Noon, Carlisle Hall entrance. UT Arlington Libraries. Men and Masculinities Week Social Male-identifying students, faculty, and staff are invited to the inaugural Men and Masculinities Week social. Free. 12:30-2 p.m., Carlisle Suite, E.H. Hereford University Center. Multicultural Affairs. Artist Talk: Sylvia Plachy Hungarian-born artist Sylvia Plachy discusses her works in the exhibit Sharing Space: Gyorgy Beck and Sylvia Plachy. 12:30-1:30 p.m., The Gallery at UTA, Fine Arts Building. The Gallery at UTA. Women's Basketball Mavericks vs. Georgia State. Tickets $3 with student ID. 5 p.m., College Park Center. Also, vs. Troy, 5 p.m. Saturday, Jan. 31. Athletics. Men's Basketball Mavericks vs. Georgia State. Tickets $3 with student ID. 7:15 p.m., College Park Center. Also, vs. Troy, 7:15 p.m. Saturday, Jan. 31. Athletics. Opening Reception for 'Sharing Space: Gyorgy Beck and Sylvia Plachy' Opening reception for art exhibit by Gyorgy Beck and Sylvia Plachy. 5-6 p.m., The Gallery at UTA, Fine Arts Building. The Gallery at UTA. Wheelchair Basketball Tournament Free. Through Monday, Feb. 2. Physical Education Building and Maverick Activities Center. Movin' Mavs. Tail Waggin' Wednesday Paws with Partners will bring registered therapy dogs to campus for some doggy de-stressing. Free. 10 a.m.-2 p.m., second floor, Central Library. Also Wednesdays, March 4 and April 1. UT Arlington Libraries. Spring Concert with Jessie J British singer and songwriter Jessie J is recognized for an unconventional musical and performance style, mixing soul vocals with contemporary R&B, pop, electropop, and hip-hop beats. Tickets $15 with student ID, $20 faculty and staff, $25 general admission. 8 p.m. Tuesday, Feb. 10, at Texas Hall. EXCEL Campus Activities. Cuba: Histories of the Present Explore daily life in modern Cuba through photographs by David LaFevor, assistant professor of history. Sixth floor, Central Library. Through Jan. 31. Special Collections: The Price of Manifest Destiny Discover how maps and war interlocked in the 19th century. Hours 9 a.m.-7 p.m. Mondays, 9 a.m.-5 p.m. Tuesdays-Saturdays. Sixth floor, Central Library. Through Feb. 7. UT Arlington Libraries Special Collections. The Gallery at UTA: Gyorgy Beck and Sylvia Plachy Two Hungarian-born artists share space in both the literal and metaphysical sense. Through Feb. 14. The Gallery at UTA. Statistical Software: SPSS SPSS training. Free. 10 a.m.-noon, Room 04, University Hall. Also, SAS training, Friday, Feb. 6. OIT Statistical Services. What Is Intellectual Property and Why Should I Care? Mark Dodd, patent litigation attorney, explains intellectual property, how you create and protect it, and why engineers should care about it. Time permitting, you help him draft a patent claim for a peanut butter and jelly sandwich. Dr. Dodd was recognized in The Best Lawyers in America 2014-15 editions in Intellectual Property Litigation. Free. 11 a.m.-noon, Room 111, Nedderman Hall. Engineering. Study Abroad Fair Learn about the more than 500 study abroad programs in 62 countries where Mavericks can earn credit toward their degrees. Free. 11 a.m.-2 p.m., Bluebonnet Ballroom, E.H. Hereford University Center. Study Abroad. Win-win: Senior guard Lonnie McClanahan, top, scored 21 points in the 75-68 victory over Arkansas-Little Rock on Saturday. Abby Dunkin, bottom left, and Rose Hollermann were named to the 2015 national wheelchair basketball team. Hollermann was a 2012 Paralymian. Senior guard Lonnie McClanahan scored 21 points and the men's basketball team stormed back in the second half to beat Arkansas-Little Rock 75-68 Saturday in Little Rock. UTA outscored UALR 47-29 in the second half after being down as many as 14 points in the first. The Mavericks ran their winning streak to three, including a two-game road sweep that began with Thursday's victory at Sun Belt Conference-leader Louisiana-Monroe. UTA is 12-7 on the season and 6-3 in conference play. Next up are home games Thursday, Jan. 29, against Georgia State and Saturday, Jan. 31, against Troy. 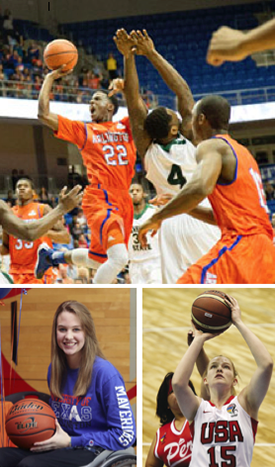 Rose Hollermann, a 2015 Paralympian, and Abby Dunkin, members of the Lady Movin' Mavs wheelchair basketball team, were selected to be part of the 2015 USA Women’s National Team. They and teammates Morgan Wood and Josie Aslakson participated in the three-day tryout at the Olympic Training Center in Colorado Springs. The Movin’ Mavs men's team is 11-1 in the National Wheelchair Basketball Association's college division and 16-2 overall. The wheelchair basketball team is in the NWBA's top spot for the fourth year in a row. The women's team was 4-1 at the American Collegiate Society Wheelchair Basketball Bash in Wichita, Kan. The Lady Mavs went 1-3 in the tournament and are ranked third in the NWBA college division. In a battle of the Sun Belt Conference’s best defensive teams, Arkansas-Little Rock defeated UTA 66-38 Saturday in Little Rock. The loss followed a 56-51 defeat Thursday at Louisiana-Monroe. Freshman center Rebekah Van Dijk led the Mavericks in both games, scoring a career-high 20 points against ULM and 11 against UALR. The Mavericks are 9-9 overall and 3-6 in the Sun Belt Conference. They return to College Park Center this week for games against Georgia State on Thursday, Jan. 29, and Troy on Saturday, Jan. 31. The women's tennis team had an impressive outing in its doubleheader Saturday at the UTA Tennis Center, sweeping both Tarleton State University and the University of Incarnate Word 7-0. In men’s action Saturday, the Mavericks lost 4-0 to Troy at the UTA Tennis Center in the first Sun Belt Conference match of the season. Both the women’s and men’s teams return to action Saturday, Jan. 31, when they host Midwestern State. The men’s and women’s track teams will compete Saturday, Jan. 31, in the Mark Colligan Memorial in Lincoln, Neb., and Saturday, Feb. 14, at the Varsity Apartments Invitational in Wichita, Kan. The Sun Belt Conference Indoor Track and Field Championships are set for Monday-Tuesday, Feb. 23-24, in Birmingham, Ala.
Upcoming entry deadlines for intramural sports include dodgeball, Wednesday, Jan. 28; billiards, Thursday, Jan. 29; pre-season basketball, Tuesday, Feb. 3; basketball, Wednesday, Feb. 4; rock climbing, Tuesday, Feb. 10; and racquetball, Friday, Feb. 13.